How well do you know the who, where, what, when and how of military history? 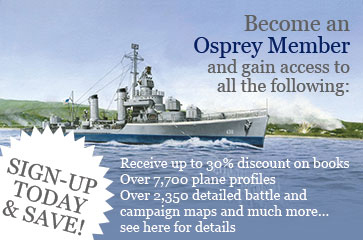 Pit your knowledge against Osprey's very own quizmaster in this unique guide to the famous, infamous and quirky facts of military history. 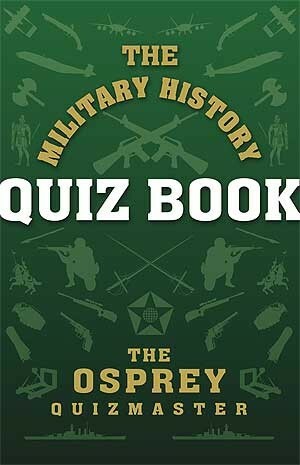 Complete with questions ranging from easy to nearly impossible and including true or false, multiple choice and illustrated sections, this is a fun-filled gift book for the military history enthusiast. On his eleventh birthday, the Osprey Quiz Master was given a cake topped with toy soldiers, depicting the Battle of Guilford Courthouse. Later that day, while picking plastic bayonets out of his teeth, he determined to devote his life to the study of military history. Aided by a minor obsessive-compulsive disorder, the Osprey Quiz Master spent the next twenty years fishing factoids and anecdotes from the morass of human conflict. 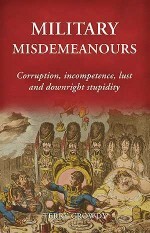 This book is a product of the things that can be found in his fish bucket.